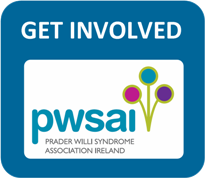 People with Prader-Willi Syndrome typically have to deal with constant hunger, extreme anxiety, scoliosis, sleep apnoea, low muscle tone, learning difficulties and a range of behavioural and mental health difficulties. Parents and carers of people with Prader-Willi Syndrome face challenges too. They may struggle bringing their children to a constant stream of medical and therapeutic appointments. They may find it hard to watch their children deal with one physical and mental health challenge after another, and to balance the needs of other family members with those of their child with PWS. Many find it very difficult to pay all the extra costs associated with caring for a child with a disability. Many also worry about the future. We hope that you will never have to deal with the challenges we face, but ask that right now you do your “personal best” to help us. Money will not solve all our problems, but in the Prader-Willi Syndrome Association of Ireland we rely on the generosity of strangers to help us advance our mission of raising awareness and understanding of Prader-Wili Syndrome and improving the choice and quality of care, education and support for persons with Prader-Willi Syndrome. So, how could you challenge yourself to help us? Could you participate in or organise a bike race? 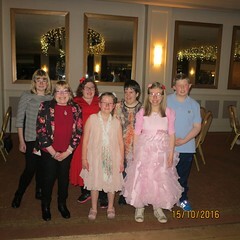 Could you host a “Come Dine with me for PWSAI” night? Or suggest to your best friend that s/he host an event? Could you organise a book sale? How about a table quiz? A ‘Strictly Come Dancing’ event? Could you quit smoking and give us the money you’ll save during the first month? How about giving up alcohol even for one month for PWSAI? Instead of buying Easter eggs this year would you give PWSAI the money? 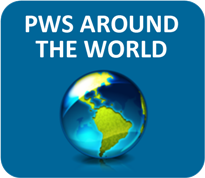 We would be delighted to hear from you if you would like to fundraise in any way for PWSAI. We would be very happy to talk you through our experience of past fundraisers and to advise you on your event. We can provide support in various ways including sending you sponsorship cards and promotional material. Thank you very much – we really appreciate your help!